The services listed here are some of the things we do, but certainly not all that we do. Our combination and camera trucks are well maintained and fully equipped to do a wide variety of jobs. 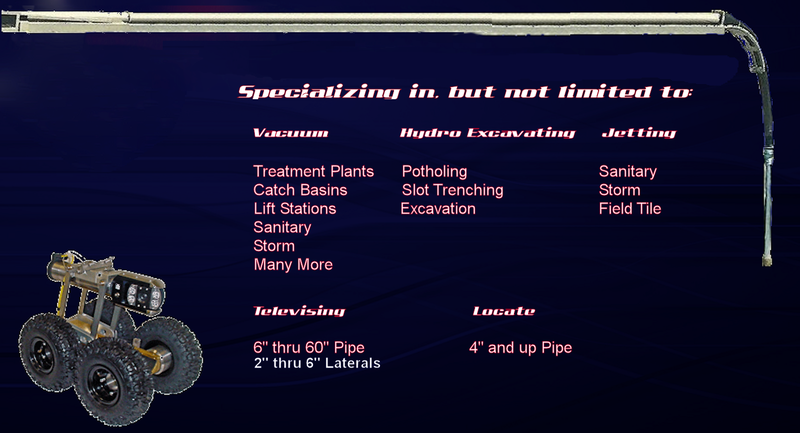 Sewer cleaning & televising, and hydro excavation may be our bread and butter, but we do much more. We enjoy a challenge, give us a call if you have an unusual job, we might just have the solution. In addition to our trucks, we also have a well equipped shop and regularly fabricate tools/equipment to facilitate the successful completion of various projects.